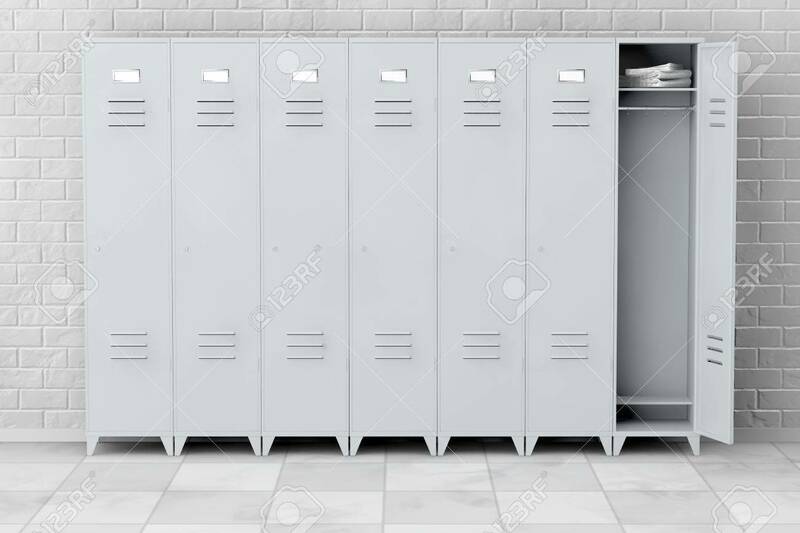 Grey Metal Lockers In Front Of Brick Wall. 3d Rendering Stock Photo, Picture And Royalty Free Image. Image 62285707.